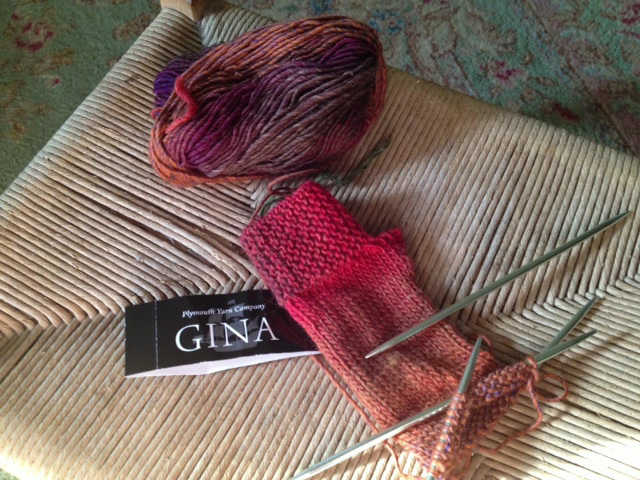 I'm loving the new yarn, Gina, from Plymouth Yarns. 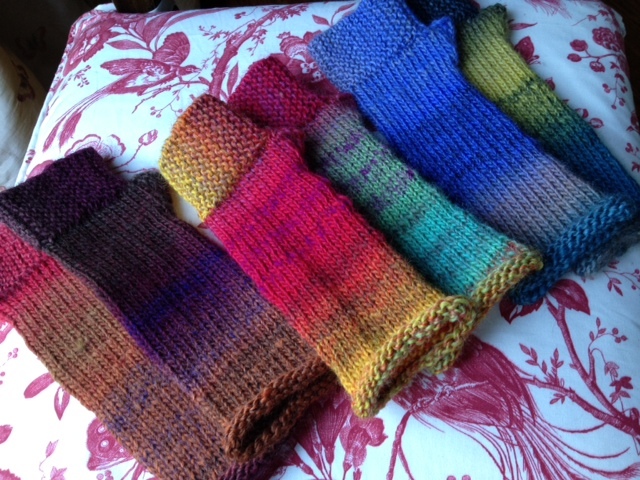 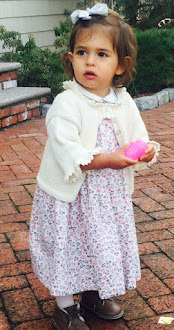 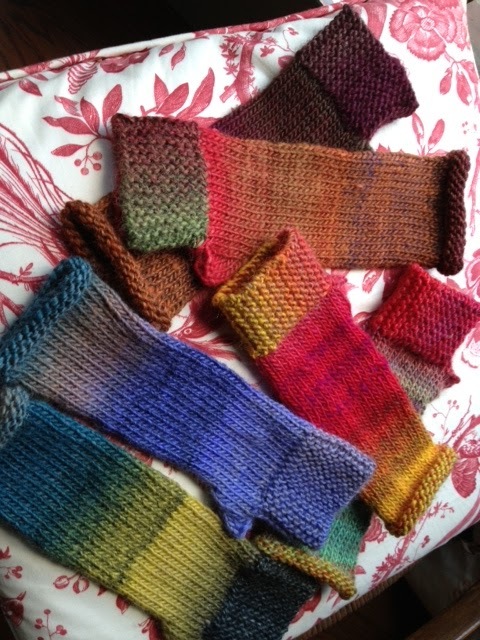 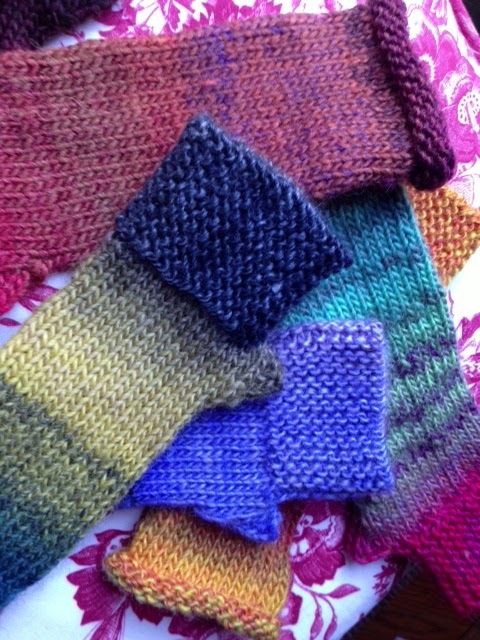 With all the rainbow colors of Noro, it's much less expensive and a softer yarn. 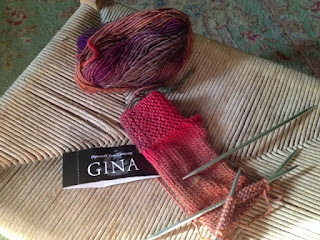 Knitnscribble added three outside purl rows for the cuff to keep it from rolling. 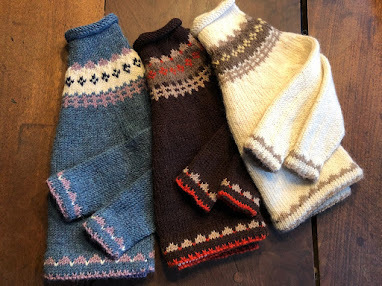 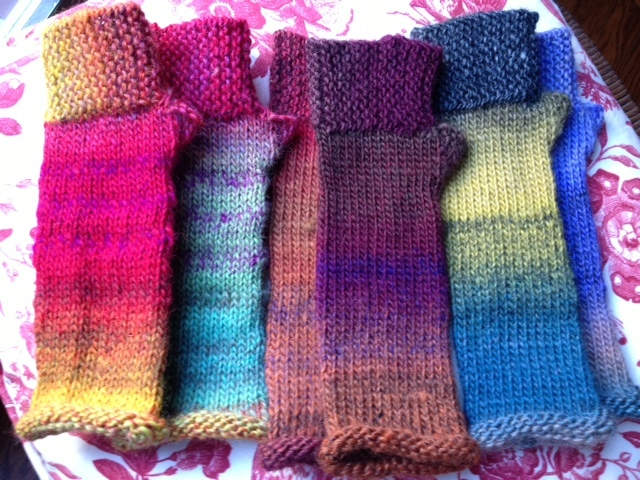 An original pattern available in Norwegian, Japanese, French, and English from Tante Ehm called "Camp out fingerless mitts". You'll find free fingerless mitts or wrist warmer crochet and knit patterns galore at "Fingerless mitts provide just the right touch."